Aaron Bolger has completed a shock move from Shamrock Rovers to Cardiff City on-loan for the remainder of the season, the Irish club have announced. 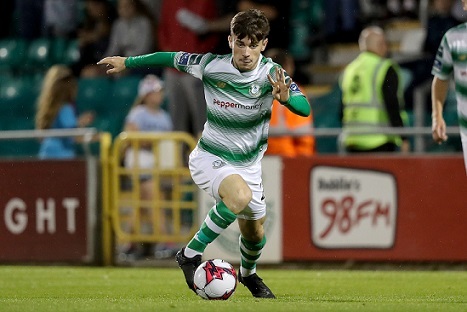 The Bray-native midfielder — who turned 19 this past Saturday — makes the switch to the Premier League following Rovers’ signings of the likes of Jack Byrne and Aaron McEneff, which would have seen his chances of regular first-team football limited. Bolger joined the Tallaght club in 2016, impressing enough in a pre-season friendly against Leeds United to become the first post-Millenium born League of Ireland player when he featured against Cork City in the FAI Cup. He went on to make 14 appearances in 2017, scoring his first senior goal against Drogheda. Bolger is currently with Stephen Kenny’s Irish under-21 squad, in which he is joined by fellow County Wicklow-born Liam Scales for a February training camp. Bolger earned his first international cap for the under-16s, before winning under-17 international player of the year in 2018. It is currently unclear what role Bolger will play in Neil Warnock’s Welsh team, although the hope is that experience in a Premier League set-up will help with his overall development. He is expected to link-up with Cardiff later in the week, following the U-21s’ game against the Ireland Amateurs on Wednesday night.